For us, training has always been an important moment to be able to pass on professionals and passionate all the knowledge for the best use of our quality flour. In this regard, we organize professional refresher courses, themed technical days in the bakeries, pizzerias and pastry dedicated to both professionals and end-users who are keen on cooking. Teodoro Chiancone, award-winning in numerous pizzeria events for the “Pizza in pala” industry (pizzeria sector). Maurizio Bonanomi, award-winning for his panettone in numerous pastry show events (pastry industry). Stefano Riva, Chef of the “Strecciolo” restaurant (kitchen sector). 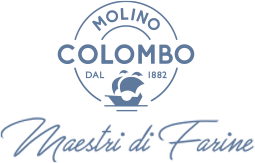 Josè Consolandi, technical manager of Molino Colombo (bakery industry).